Field Jam – A party in a field with family and friends and lots of music, food and drink. 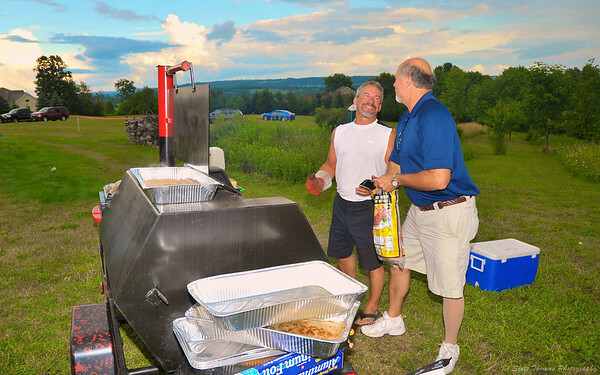 My cousin Gary from Denver and his Brother-In-Law Doc manned the grill during Field Jam hosted by Gary’s brother, Billy. Nikon D700/24-85G, 1/200s, f/8, ISO 200, EV 0, 24mm focal length, fill flash. I attended my cousins Ana and Billy’s annual Field Jam party over the weekend. I had a lot of fun seeing family and friends I had not seen in a long time and catching up with everyone while not at a funeral or wedding. 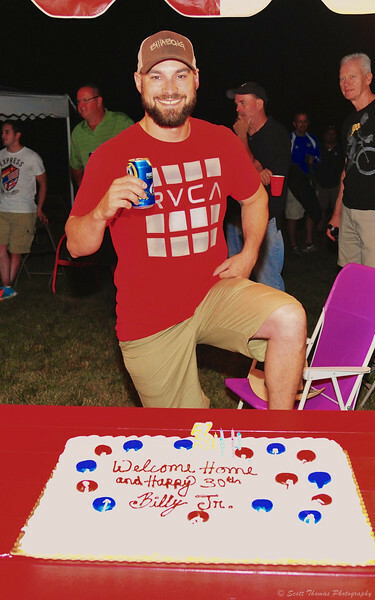 Field Jam was also a celebration of the return of cousin Billy Jr. from Afghanistan and his 30th Birthday. Nikon D700/24-85G, 1/60s, f/5.6, ISO 1600, EV 0, 30mm focal length, fill flash. Along with enjoying everyone’s company and the band, we got to celebrate the return from Afghanistan of Billy Jr., my cousin Billy’s son, and his 30th Birthday at Field Jam. Should have turned down my flash here but his Captain Morgan pose was saved! 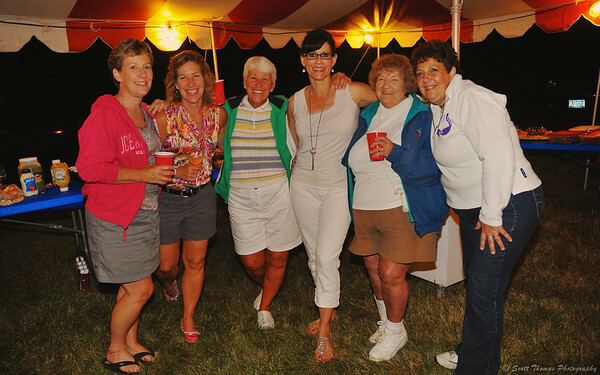 Cousins Pam, Cheryl, Ana and Lori with sisters Dottie and Pearl at Field Jam. Dottie is the Mother of Pam and Cheryl and Dottie and Pearl are Lori’s Aunt. Dottie is Ana’s Mother-In-Law and cousins to the rest by marriage. Got that? Nikon D700/24-85mm, 1/60s, f/5.6, ISO 1600, EV 0, 24mm focal length, fill flash. Already planning on going to next year’s Field Jam! This entry was posted in People, Weekly View and tagged 24-85mm, cousins, family, field jam, fill flash, lafayette, new york, nikon D700, outdoors, party, relatives, summer. Bookmark the permalink. Meghan even had a dance to this during this past year’s dance recital! Yep, I know that song. 🙂 It would make an interesting song to dance to. Did she use red cups for props? Oh yes! The blue and yellow ones made a quick appearance too. I’ll have to see if I can figure out a way to post a video when we get the recital DVD. Definitely a great way to get together without a wedding or funeral. It’s so true these days that is how family usually sees each other. Looks like it was fun. It was a tradition for many years with my Uncles. As they got older, they stopped doing it. My cousin rekindled the tradition a few years ago and it is a lot of fun.